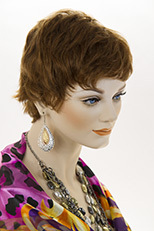 Combining easygoing layers with assertive texture, this sassy short shag offer deluxe comfort and SmartLace stylability, with a lace front and hand tied monofilament cap. 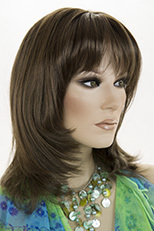 This one-piece volumizer adds coverage and volume to the crown and back of the head. 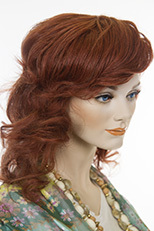 It clips in and out easily and can be heat-styled to create any look. 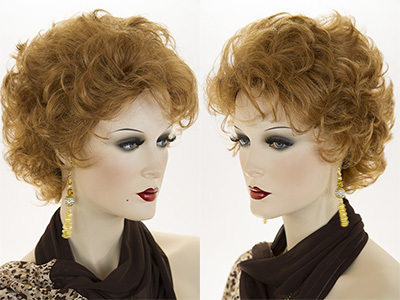 This clip in topper, worn over the part, adds volume to medium-length styles with beautiful Remy human hair. The design is hand tied using French knotting, a superior knotting technique that creates the most natural appearance possible. 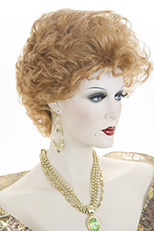 This Remy human hair topper is worn clipped in over the part. Each hair is hand tied to a Swiss lace using invisible French knotting, a luxury technique that hides and protects the knots for an undetectable look and feel. This one-piece hair topper adds instant thickness and coverage with a supremely natural appearance. easiPart XL French available lengths: 8, 12 and 18 inches. This one-piece volumizing hair topper, worn clipped in over the part, adds instant thickness with a supremely natural appearance. 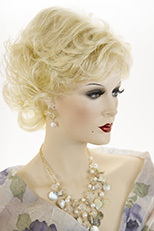 Beautiful Remy human hair is hand tied to a Swiss lace using invisible French knotting, a luxury technique that hides and protects the knots for an undetectable look and feel. Constructed on a larger base than easiPart French, this human hair topper provides extra coverage and volume for the beginning stage of hair loss. Lengths available: 8, 12 and 18 inches.